So you’ve signed up for your first track day or are thinking of signing up but want to know what to expect. Let this guide warm you up to what is coming. A track day is one of the most fun, exciting and rewarding things you can do here on this earth! With all that fun comes some easy to learn common sense protocols to keep yourself, your car and others safe out on the race track. We have to understand that although this sport is outrageously fun, it can be extremely dangerous if rules and protocols aren’t taken seriously. My First Track Day: H.P.D.E. Notice Speed Wasn’t Mentioned Yet? 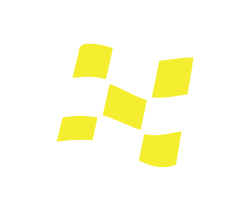 In order to keep your first track day safe and fun for everyone it is imperative that you follow these guidelines well enough before the event to show up prepared. Download the free checklist below and print it out so you don’t forget to do anything in the excitement of preparing! If you see something on the checklist that you’re unsure about we go into more detail below. The date codes on the inside of the helmet refer to the expiration of the certification. The expiration is 12 years from the date shown on the helmet. For example, a SA2010 helmet is acceptable until 2022. It would be a good idea if you’re shopping for a helmet to get an “SA 2015” in order to get the most usage out of your helmet. The Snell Foundation also offers guidelines for purchasing the right helmet. How valuable to you is your head and brain? Buy a helmet of that value. It is courtesy to everyone at the event to have your tow hook installed on the car prior to your first on track session. Most production cars you see at H.P.D.E. events come with a factory tow hook that threads in through a hole in the plastic bumper. In the event that you have an on-track incident and need a tow, this makes the process go smoothly and won’t waste precious time for other participants who want to get back on track after your situation is cleaned up. Make sure your interior is clean and free of any clutter. You don’t want things flying around hitting you in the head or rolling under the brake pedal while you’re out on track. Make sure your Bluetooth is disabled as a call coming in can break your concentration at just the wrong time. There should be recommended factory tire pressure settings on a sticker on the inside of your driver door jam. Add 5 pounds from this number. This is a good starting place for a novice driver, as you start getting quicker and building more heat in the tire you may need to bleed some air out to maintain operable pressures. Working brake lights are a must as they’re an essential communicator to drivers behind you when you are going to the brakes. Make sure all your fluids are topped off particularly engine oil, coolant and brake fluid. Upgrading to a DOT4 brake fluid is highly recommended as it works better at higher temperatures but still just as fine for colder temperatures. Make sure your lug nuts are tightened to factory spec. If you’ve changed your tires recently, drive your car for a few miles and then re torque them a second time just to be sure everything is set into place. Seatbelts are usually a non-issue because they come standard in every car and are rarely damaged. Aftermarket seatbelts are where you can get into trouble. Depending on the style and combination of parts, some aftermarkets can be significantly more dangerous than the standard OEM. If in doubt, talk to a professional at the track or use the standard belts. Take a look under your hood before your track day to make sure nothing obvious is out of place. Oil leaks, loose brake fluid reservoir, etc. Make sure your battery is securely fastened and there is no way both terminals can be crossed. Jack your car up and wiggle the wheel back and forth with your hands. There shouldn’t be more than a tiny, tiny bit of play. This is just to check for a healthy wheel bearing, a vital thing to know before headed out on track. Flags! One of the first things you can do before your first track day arrives is to learn the flags. 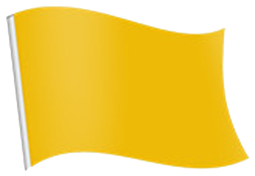 The flags are vital communication from the track safety officials to you as the driver. On any given track there are “corner workers” manning stations at virtually every corner on the race track. These corner workers are the watchful eye for the drivers that just can’t quite see around the next turn yet. Wouldn’t it be nice to know if there was a car spun out in the middle of the track before you got there? These guys will waive different color flags for different reasons. In the case I just mentioned, you’d see a waving yellow flag, alerting you of this hazard. One really good way to get a good jump start on your first track day is to learn the flags the night before. 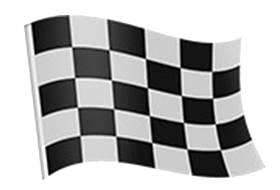 Pour yourself a glass of your favorite adult beverage and research what the different color flags mean in racing. I’ll give you the most common flags you’ll see right here. There is an incident ahead and it is considered less severe. Typically, there will be a car off course in a safe spot. Slow down only enough to gain complete control of your car and continue around the incident cleanly. DO NOT STOP. There is an incident ahead that is considered more severe and may be directly in your path. Slow down enough to leave yourself plenty of options while also being aware of what’s in your mirrors. DO NOT STOP. This is a warning from the track officials to you. It means you did something the track officials didn’t like. 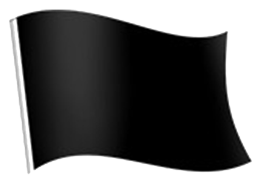 You likely know what you did if you see this flag and often occurs after a sketchy situation has passed. If you see this flag and you don’t know why you’re seeing it, pull in the pits and ask the pit coordinator. This is a command from the track officials to come into the pits and speak with the pit lane coordinator. It may be a result of driver conduct or some other factor that had nothing to do with you. Maybe it’s a mechanical issue with your car that you weren’t aware of that could save you thousands! Pull in the pits for more information. There is a quicker car catching up to you. When you get to the next straightaway section of the track initiate a point-by pass. 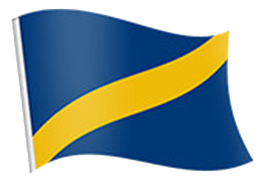 This is a information flag, not a command flag. Meaning, this is something you want to be aware of but isn’t a case for immediate concern. Signals the end of the session. Come back into pit lane the very next time you pass by the pit entrance. It goes without saying that you need to treat this first track day experience with respect. 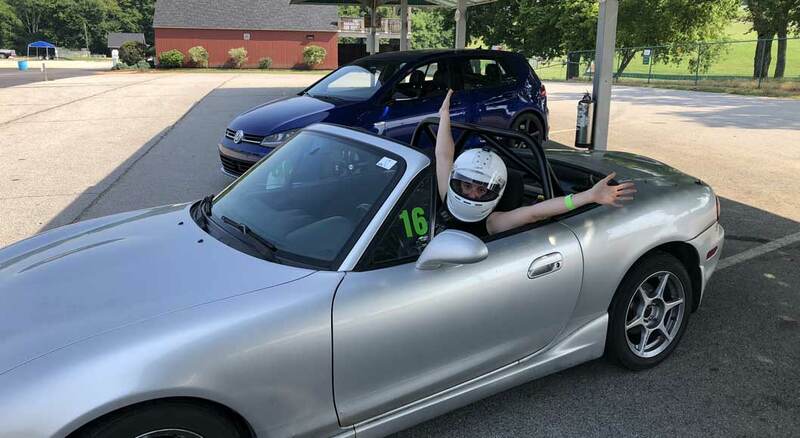 A track day is one of the most fun things you can do in life but the consequence of extreme financial liability and, God forbid personal injury and/or death is a very real factor that needs to be acknowledged. The best two things you can do is to drive in a manner where you always maintain 100% control of the car and always listen to your instructor. He will analyze where you can make the most improvement with the least risk and encourage you to explore this area. You will discover a new area of performance driving that you didn’t even know existed and be challenged in ways you never even thought were a thing. Sorry, driving fast on the street won’t compare in the slightest and there’s a reason it’s stupid. Inevitably, even on our first track day we obviously will have one car catch another out on track. In order to make the experience safe and fun for everyone, the HPDE community generally uses point-by passing. Not under the stress of being passed…”I better let this idiot around me before they wreck me!” We’ve all been there. Have a better sense of situational awareness and closing speeds. I will outline below the series of steps below for both the car being passed and the car passing. If You Are About to Be Passed…. Check Mirrors and Be Aware. At first recognition of car behind you should do nothing different other than be aware a quicker car is approaching. Sometimes, the blue flag will aid in providing this information, but you shouldn’t rely on this. Keep your line and keep your speed. Wait until the next straightaway or designated passing zone (whichever your car club uses) ensure your steering is straight and then begin to slowly creep out of the throttle. Reach your hand outside the window and point towards the direction you want the car to go around you. Some car clubs will use turn signals for point-bys. It’s very important to identify how your car club uses turn signals (if they do at all.) Sometimes, the direction that is illuminated means “that’s where I want you to pass me” and sometimes it means “I’m holding to this side, pass me on the other side.” Make sure you are clear on this! Either signals to the driver behind “I know you’re there and I want you to pass me on this side right now if you feel it is safe to do so.” It is helpful to be very definitive with your driving which side of the road you’re holding. For example, if you just came out of a left-hand corner you would track out to the right, hold the very right and then initiate the point-by pointing to the left. This would be super clear communication to the driver behind. Slow down just enough to have the pass be done cleanly and reasonably before the brake zone of the next corner. Slow too much and you could cause an unnecessary stack up behind, slow too little and the other driver might have to race you to get around you. Both circumstances here are not ideal, however it is obviously reasonable to air on the side of slowing too much rather than too little. If there is more than one car you would initiate a separate point-by motion with your arm for each car. If You Are About to Pass…. When you catch a slower car it only means one thing- that you’re lapping faster than the other guy. It does not mean you’re a better driver, have a better car or are less prone to anything bad that can happen out on the race track. Often times the driver who catches another car feels a sense of entitlement, and this can lead to trouble. With entitlement comes false confidence, pass enough cars in one session and you could very likely be driving over your head. If you’re ever in doubt about a pass…. tuck in line behind the other car and wait for a point-by pass. If you’re able to do this without developing a sense of frustration you will find yourself in a much better position mentally when you do get around that car. You will drive better, faster and more consistent this way. Just remember, any emotion behind the wheel typically yields bad results. When you catch a slower car the first thing you need to do is maintain a respectable following distance. Look in front of the car in front of you. If you’re staring at the bumper of the car in front of you, you likely will make the same mistakes they do even if you haven’t been making them the whole session. Anticipate the point-by to happen in the next straightaway or designated passing zone. When the point-by does occur, size up the situation. Is there enough of a speed differential to complete the pass before the brake zone of the next turn? Is the straight long enough? Are there any yellow flags? Any hazards? Essentially, you either fully commit to the pass or you don’t. Where people get into trouble is when the kiiiiiiinda go for it where they kiiiiiiinda aren’t sure. If you’ve sized up the situation and it looks safe to pass, commit to that decision and make the pass happen cleanly. If you aren’t 100% sure (and follow your guts here) then stay in line and don’t attempt the pass. Wait until the next point-by signal. At any given moment as drivers we have a risk/reward balance we are constantly weighing. The rewards can change dramatically and suddenly, especially in a competitive racing environment. A good example of big reward in racing is maybe the leader bobbled coming out of a turn and slowed up 2nd and 3rd place along with themselves, while you in 4th never lost momentum and this opportunity to pass may never come again in the race, especially if the front running cars are quicker than you. The same goes for risks, but the thing with risks is they come up EVEN MORE suddenly and have longer lasting consequences. I discuss in more detail risk/reward and how to make the calculation at a given moment in my racing content, but for this purpose I’ll continue on talking HPDE format. In an HPDE Format, the Reward Never Outweighs the Risk. It is a non-competitive, non-timed event and everyone is out there to better themselves and have fun in their car. This is tricky mentally because when we are close to the same pace as another car things may escalate incrementally with every passing lap and before you know it both drivers are not only racing but driving over their heads completely. Next thing you know a simple mistake puts both drivers in the wall, with thousands of dollars of damage AT BEST considering the risk of personal injury (and death) of both students and both instructors. This has happened a number of times. Sounds totally worth it to get in front of that other car, right? At the end of the day this is serious business and needs to be treated as such. We are the mouse in the tin can. If you throw that can against the wall as hard as you can the mouse doesn’t stand a chance- even with a seatbelt. Before you go to your first track day there are a number of things you can do to prepare yourself before-hand. One of these things is to review a track map. Listed below are some things you should become familiar with on the track map. It seems simple enough, but after an intense on track session a lot of drivers either don’t know or forget where their actually supposed to exit the track and come back onto pit lane. Knowing where to start slowing down and which side of the track to hold after which corner is essential. It is important to become familiar with where the corner worker stations are located around the race track. By now you hopefully know what the flags mean, but you also need to know where you’re going to see them. By getting an idea of where they are before hand you will more easily be able to find them when you take your first few real laps out on the track. It is helpful to know which turn you’re approaching before you’re actually approaching it at speed. Is it a tight corner? Decreasing radius (tightens up as you go around), or increasing radius? (gets straighter as you go through.) Are there elevation changes? Pavement changes? What about bumps? Your instructor has years and years of track experience and is there to help make you a better driver. My best piece of advice is to be like a sponge and absorb as much information from as many people as possible. This will only put you ahead of the learning curve in the long run. Driving at high speeds on the race track is a great metaphor for life. You don’t know what you don’t know and a little bit of humbleness will go a long way. Now get out there and sign up for your first track day! If you’re not sure where to go, or looking for a recommendation, reach out! From 2006 Skip Barber National Champion to 2015 Spec Miata SCCA Runoffs Champion, and with the 2008 IMSA Lites title in between, I’ve been in the racing scene for quite some time. 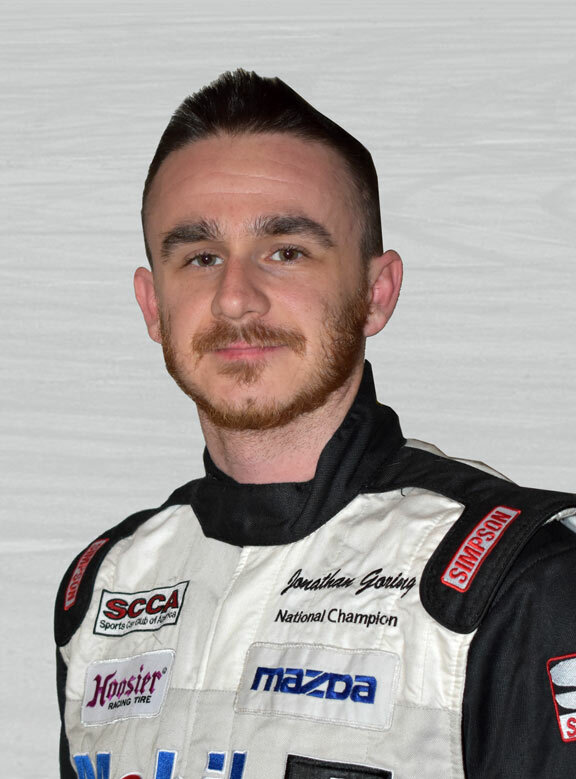 I’ve been fortunate to race against (and beat sometimes) the best drivers in the world currently racing in various top level motorsports. I’m very passionate about the art/science of performance driving and want to share that passion with you. WANT TO DRIVE FASTER THAN EVER? Join my email list for twice monthly articles, driving tips, exclusive announcements on new things I’m working on and wisdom delivered straight to your inbox! You can unsubscribe at any time. We value your privacy and will never share your personal information. Going Fast In All The Wrong Places – Don’t Be That Guy!